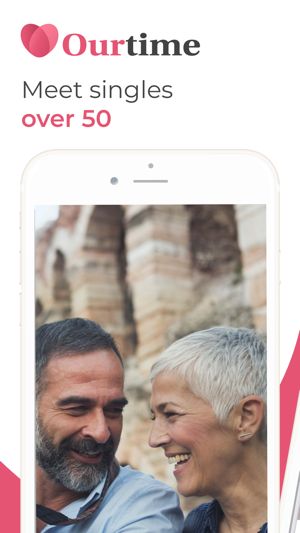 Ourtime is the dating app for singles over 50. This dating site enables you to meet genuine single men or women who share your interests, online, as well as at activities arranged by Ourtime. Register today to meet singles over 50 who share you interests, because at Ourtime, it’s our time to love life together. Ourtime offers a high quality service in order to give you the best chance of success, enabling you to meet a single man or woman over 50 who shares your interests. · Enter your first name, your search criteria, your interests, etc. · Write a few lines to describe what you would like to share with the person you meet. · Choose a photo that reflects you, your interests and your lifestyle. 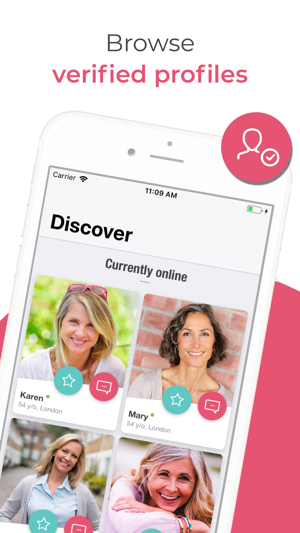 From the moment you register, you'll discover a selection of profiles with whom you can start a conversation. · Run personalized searches according to your interests. · Use "Blender" to explore our daily selection of 100 profiles. · Connect with members currently online in an instant. In order to give your profile every chance of success, it is visible to over-50s members of our general dating services using the same platform. 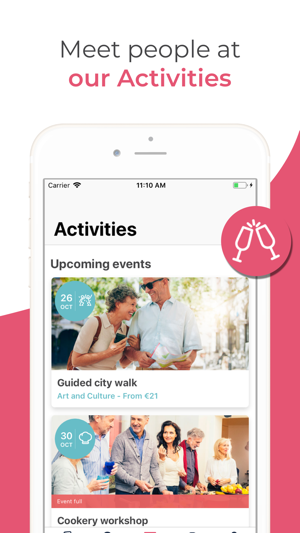 With Ourtime Activities, meet new people and share your interests through activities and organized trips in the UK and Europe. From culture to nature, to musical evenings, culinary workshops and travel, Ourtime Activities bring together like-minded people. What's to stop you from getting started? Invite up to 3 of your friends to come along with you through our dating app! Subscriptions (1 month for £39.99, 3 months for £74.99 or 6 months for £119.99) are automatically renewed for successive periods of the same length at the same price as the original package selected. Payment will be debited from your iTunes account following confirmation of your purchase. You can cancel the automatic renewal of your subscription from the settings page of your iTunes account, up to 24 hours prior to your next subscription payment. Within 24 hours of your renewal date, a bill will be charged to your iTunes account which will indicate the cost of renewal. After your purchase, you can access your subscription and automatic renewal details from the settings of your user account. Any unused part of a free trial period, if provided, will expire when a subscription is taken out. We have fixed a display problem on iPad concerning the writing of messages.